Finding the right windows to fit your budget and style can be difficult for many homeowners. If you’ve already determined that you’re ready to purchase new windows for your home, you’re in the right track! New windows will make your home more energy-efficient by allowing less of the warm or cool air produced by your furnace or air-conditioner to escape. 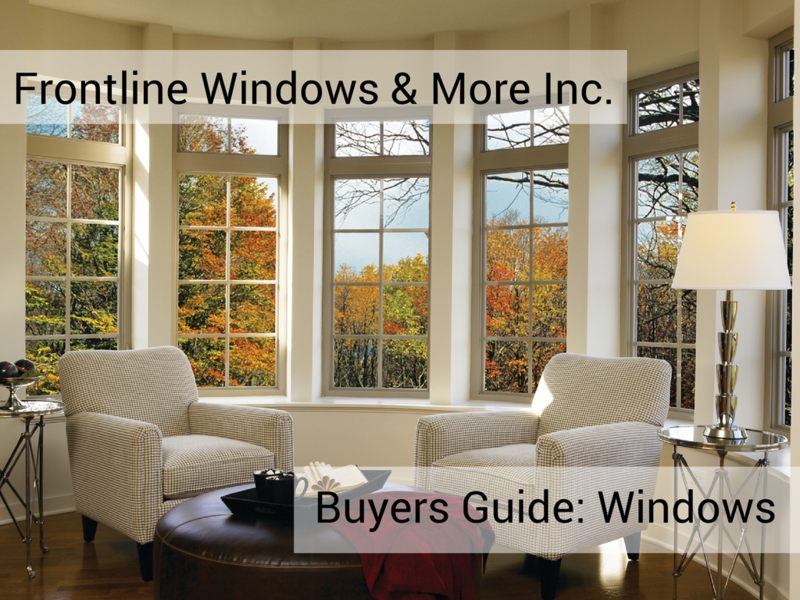 When purchasing new or replacement windows for your home, it is important to make sure you know what you’re talking about, even before a window salesperson enters your home. When it comes to replacing windows, often times, vinyl windows are in need of an upgrade. Although everyone recognizes the importance of reusing materials, recycled vinyl is not up to the same standards as pure vinyl yet. It is commonly referred to as regrind, which can crack and yellow over time, isn’t as strong as pure vinyl and sometimes even has a blue tint. You should insist that your windows are made from 100 percent pure virgin vinyl with no plastic content. It’s best to avoid standard size-only windows because many older houses don’t always have standard-sized windows. Since no window opening is truly uniform, you should always measure before you shop and especially before you order. Getting custom windows to fit every opening of your home will pay off in the long run due to increased energy efficiency, plus the finished product will simply look better. Today, windows are produced with two or three panes of glass, as opposed to original windows, which only had a single pane. Energy Star is the U.S. government-backed program that rates energy efficiency. You want Energy Star Windows. When purchasing an “Energy Star” qualified window, ask for proper windows that meet the standard for your Climate Zone. The National Fenestration Rating Council (NFRC) is a non-profit organization who provides unbiased assessments regarding energy performance ratings so consumers can compare different products and make informed product choices. We do not recommend purchasing any window that lacks the NFRC label. Although specific options you select can dramatically affect the price of your windows, careful consideration of your climate and the character of your home will help you to choose what you need without overspending. Do your best to research window manufacturers and choose one with a comprehensive warranty. To ensure you’re getting the best deal, don’t be shy about pricing various options and seeking several bids and estimates. Correct installation is as important as quality of windows themselves, so it pays to have someone experienced do it. Even the best windows on the market will only function as intended if they’re properly anchored, insulated and sealed. Wood: wood-framed windows are sold in a variety of shapes and sizes. If properly maintained, they can enjoy a long life, rewarding energy-conscious homeowners with a high R-value (a measure of thermal resistance). Fiberglass composite: Another option for homeowners who want the fine appearance of wood but less of the hassle, fiberglass composite windows excel in extreme conditions. They also will not warp or sag in high heat, and/or shrink or turn brittle in the cold. Vinyl: A lasting, low-maintenance window material that resists moisture, vinyl costs less than wood, and although it cannot be painted, vinyl windows are available in a wide range of stock colors and a virtually infinite number of custom hues. Aluminum: Strong, lightweight, and durable, aluminum windows are considerably less expensive than their wood-framed cousins. Aluminum is prone to condensation, which can in some cases lead to mold. Composite: composite windows are typically strong, energy efficient and are made from a mingling of plastic and organic materials. Awning: Opening outward from a top hinge, awning windows have one panel of glass and typically appear in conjunction with another window style. Clerestory: Designed to admit abundant natural light, clerestory windows are usually deployed in a series along the top portion of high walls. Rotating: Popularly used to frame views, rotating windows boast uninterrupted glass panels that pivot partially open from a central axis. As with any home improvement project or large purchase, the more you learn about replacing your windows, the better off your shopping experience will be. What’s your experience? Do you have any tips on shopping for new windows? Leave a comment below and share your ideas.